Alexis Sanchez (£11.9m) leads a host of Gameweek 21 armband contenders as Arsenal make their way to Swansea City. The Chilean has produced double-digit returns on four occasions on the road this season, with 10 of his 13 goals arriving away from Emirates Stadium. With new Swansea head coach Paul Clement preparing to host the Gunners for his first Premier League match in charge, he will be mindful that his side have conceded more goals (23) at home than any other side. 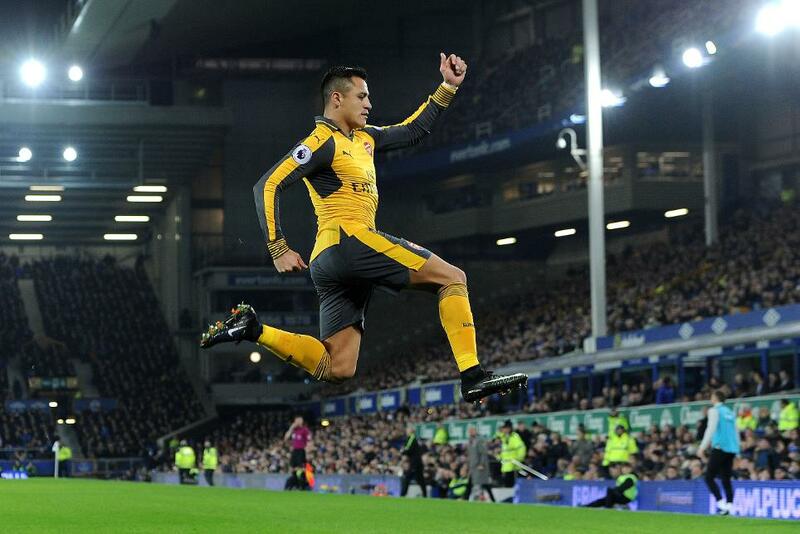 That statistic boosts Sanchez as the top armband option, though Arsenal team-mate Olivier Giroud (£8.6m) offers an in-form alternative. Deployed as the Gunners' central attacker in the last three Gameweeks, Giroud has netted in each of those matches and also supplied a pair of assists in the 3-3 draw at AFC Bournemouth in Gameweek 20. Across North London, a home encounter with West Bromwich Albion hands both Spurs and Dele Alli (£8.6m) the platform to maintain recent form. The top transfer target ahead of Gameweek 21 after earning more than 400,000 new owners, Alli has netted twice in three successive appearances. Spurs team-mate Christian Eriksen (£8.6m) has produced double-figure hauls in three of his last four home matches, while Harry Kane (£10.9m) has supplied eight goals and an assist in the previous 10 Gameweeks since a return from injury. Elsewhere, Zlatan Ibrahimovic (£11.6m) is expected to shrug off a virus in time for Manchester United’s home meeting with Liverpool. Owned by 42.7% of FPL managers, December's EA SPORTS Player of the Month has been the most consistent captaincy option available in recent Gameweeks, having scored or assisted in eight of his last nine Premier League outings. Sergio Aguero (£12.8m) will look to add to his 11-goal tally as Manchester City make their way to Everton. The Argentinian has scored twice in four of his seven away trips and has netted in two of his three appearances across all competitions since returning from suspension. But the Toffees have been resilient, conceding only seven goals at Goodison Park and have two clean sheets in their last three outings. Chelsea pair Diego Costa (£10.7m) and Eden Hazard (£10.4m) visit a Leicester City side that have conceded twice in four of their previous five home matches. Whereas Hazard has netted only twice on his travels, Costa has been far more prolific. The Spain international has scored or assisted in seven of his 10 away appearances. Sunderland's in-demand Jermain Defoe (£7.8m) should be backed for returns at home to Stoke City. The most popular transfer target among forwards prior to Saturday's 11:30 GMT deadline, the Black Cats' top scorer has scored or assisted in five of his last six home appearances, earning a brace against Liverpool last time out. Defoe also faces a Potters defence that have conceded at least three goals in three successive road trips.